Hey guys check this out! 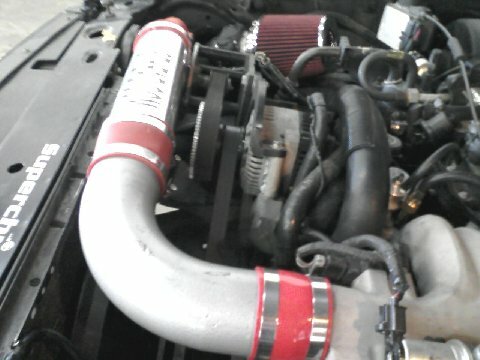 I found a company that makes Eaton Supercharger kits for our OHV&SOHC 4.0 AND 3.0 L rangers!!! Check this out!!!! 4000 dollars ?! ahaha I wish!! AYeah it is pretty pricey, but it has everything you would need... Is a supercharger good to have it you wheel? uhh.....pretty sure you can buy a turbo charger for that price...(not 4 a ranger) but still. kinda expensive. I would stick with the Explorer Express kit. Really? But a 5.0 swap is ALOT more work lol.. But the 5.0 swap nets more power and torquw potenital then the supercharger and more bang for the buck...as i have always heard "there is no replacement for displacement' but us few rotary guys know otherwise.. Unless you have all the tools and know how for a 5.0 swap a bolt on supercharger is your best bet. 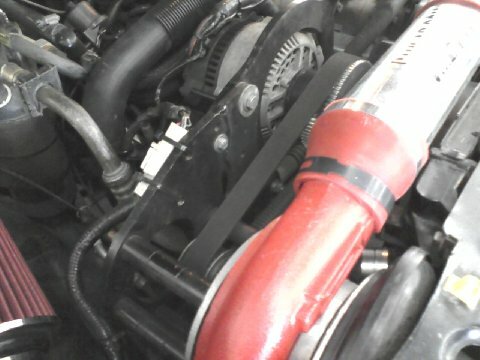 Not to mention if you want to have any hope of resale value in your truck you will want to keep the stock engine in it. THANKS FOR YOUR SERVICE TO OUR GREAT COUNTRY. WE NO LONGER BUILD ANY EATON BASED KITS. WE NOW EXCLUSIVELY PRODUCE OUR BELT DRIVE TURBOS (BDT) AND HAVE A UNIVERSAL V6 FORD TRUCK ALTERNATOR MOUNTED SETUP WHICH RETAILS FOR ONLY $1950 + $50 SHIPPING ($YOUR MILITARY SPECIAL COST IS $1500 SHIPPED). THE BDT BOLTS TO A CUSTOM BRACKET THAT BOLTS TO THE ALTERNATOR. THE ALTERNATOR GETS A CUSTOM DUAL PULLEY THAT REPLACES THE ORIGINAL ALT PULLEY. THE DOUBLE PULLEY SPINS THE BDT. VERY SIMPLE AND VERY POWERFUL. 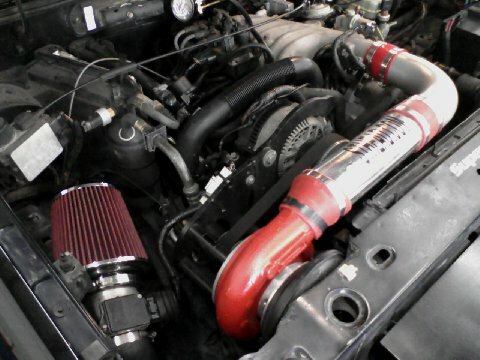 YOU MUST SUPPLY THE COLD AIR INTAKE, AIR FILTER, SILICONE HOSES, ETC. WITH A TOTAL BUDGET OF $2000 OR LESS YOU CAN MAKE A SAFE 5 PSI SYSTEM. TO PLACE A DEPOSIT OR MAKE A PURCHASE, GO TO MY WEBSITE WWW.BOOSTHEAD.COM AND UNDER 'MAKE' CHOOSE 'FORD', UNDER 'MODEL' CHOOSE '2.6-3.8', AND UNDER 'PRODUCTS' CHOOSE 'PLACE A $500 DEPOSIT'. YOU CAN BUY 1-3 DEPOSITS, DEPENDING ON WHAT YOU WANT TO PUT DOWN AT THIS TIME. THERE IS NO TIME LIMIT ON HOW LONG YOU TAKE TO FINISH PAYING IT OFF. WHEN YOU PAY THE FINAL BALANCE THE KIT WILL BE SHIPPED TO YOU. ALLOW 2-3 WEEKS FOR DELIVERY. can we see the pics? you can add pictures to a post buy clicking "Go Advance" next to "Post Quick Reply". Then click manage attachments and attach your pictures. I know there is a size limit but I am not sure of the size. Last edited by casfz1; 03-17-2008 at 12:36 AM. 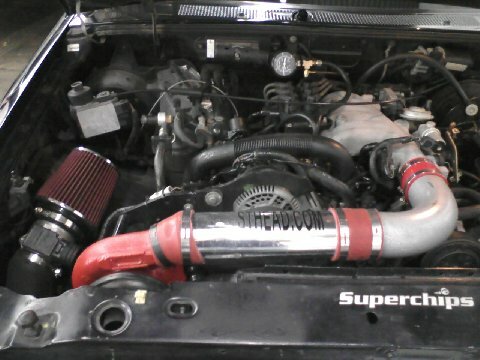 Here are the pics of the "supercharger"
A guy one here has that setup. I forgot who. Thats not an Eaton, thats a centrifugal style setup. Basically, they give power above 3,000 RPM. I wouldnt buy with out some proven dyno sheets. Quick Reply: Eaton Supercharger kit for the OHV 4.0!!!! !